Six new songs from Los Angeles-based Flat Worms, which features Tim Hellman, Justin Sullivan, and Will Ivy. The “Into The Iris” EP follows an LP on Castle Face Records (s/t, 2017). Filled with anxiety and angst, Flat Worm’s summon perseverance in an apocalyptic era, passing through decrepit strip malls and surreal headlines. These songs were recorded by Ty Segall in his home, and is now being offered on God? Records. Released February 8th, 2019 ,Drag City Inc.
Singer/songwriter Justin Sullivan, aka Night Shop, may be releasing his debut album, In The Break this month, but he’s far from a starry-eyed newcomer. Sullivan has been a touring drummer for the last 20 years, most recently playing with The Babies, Kevin Morby and Flat Worms. While touring in 2016, Sullivan realized that the taxing life of a touring musician was getting a bit too much and he needed some time off, so he took a year-long break to clear his head. During that period, he wrote solo material in the form of a debut EP and now, his first LP. His first two cuts from the album, “The One I Love” and “My Love,” are rollicking folky rock and roll tunes that require a massive amount of restraint to stop yourself from tapping your foot. Sullivan’s voice may not be cocksure or Elvis Presley-esque, but he sure makes a fine front-porch troubadour via Bob Dylan. In The Break paints tales of deep-rooted romance, old and new pals, life on the road, late night hijinks and just plain ole life under the great big sky. From the album “In The Break” coming out on Mare Records September 14th. 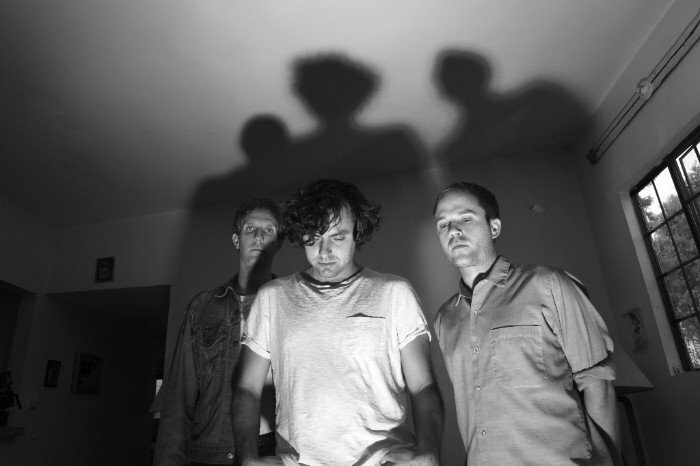 The Apparition / Melt the Arms is the third release from Los Angeles band Flat Worms (Tim Hellman, Justin Sullivan, Will Ivy) released on New York’s Famous Class Records. The 7″ single follows their debut LP on Castle Face records. These songs were recorded with Ty Segall in his home studio during a global heatwave. 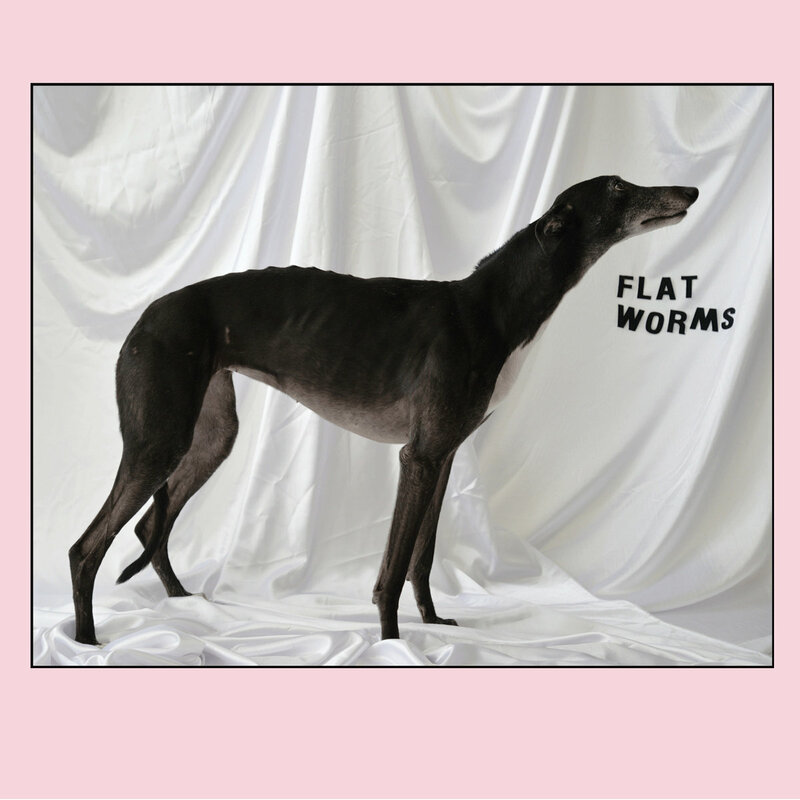 Back again and this time with a killer new 7” from LA rippers Flat Worms. We’ve been hounding these guys to do a record ever since their first 7” dropped back in 2016, so we are thrilled to have them on board now. Flat Worms consist of Will Ivy (Dream Boys, Wet Illustrated), Justin Sullivan (Night Shop, Kevin Morby, The Babies) and Tim Hellman (Oh Sees). Their debut LP on Castle Face dropped last year and the boys have been touring like mad men ever since. Justin Sullivan has been performing as a touring drummer for over 20 years; he performed with Kevin Morby, both solo and as The Babies, as well as being a founder member of Marc Riley favourites, Flat Worms. In 2016, burnt out from life on the road hitting skins on other people’s songs, Justin decided to take a year out: it might just have been the best idea he ever had. The result is the aptly titled album, In The Break, Justin’s first record under his musical pseudonym, Night Shop. Ahead of releasing In The Break next month, Night Shop has this week shared the newest taste of it, The Ship Has Sailed. Liberally borrowing his musical friends talents, the record features offerings from Meg Duffy, Anna St. Louis and Woods’ Jarvis Taveniere, Justin has created a sound entirely on his own terms. Sure, there’s certainly a touch of Kevin Morby in the vocal production, and that’s no bad thing, yet in the twanging-guitars and prominent percussive bass-line there’s enough to make this stand out from even the most distinguished of crowds. Time to put all your best drummer jokes to one side, and admire a talent stepping into the limelight with effortless aplomb. In The Break is out September 14th via Woodsist / Mare Records. Flat Worms which features former members of Dream Boys, Sic Alps and Thee Oh Sees hit the ground running on this pummelingly great record. Lead off song “Motorbike” sets the scene of this menacing record. They’re sound like a biker gang that digs Suicide, but thinks synths are for poseurs. One of the best albums of the year. Raging but with style, panache and tunes. This debut album of LA post-punk band featuring Will Ivy (Dream Boys, Wet Illustrated, Bridez), Justin Sullivan (Kevin Morby, The Babies) and Tim Hellman (Thee Oh Sees, Ty Segall, Sic Alps). Flat Worms belt-sanded everyone with their 7-inch on Volar, and Castle Face is proud as new papas to present their debut album. The band continues their ride on a buzz-saw wave of feedback-tipped riffs into the middle distance, the smog-choked sunset receding in the rearview, with a thousand-yard dead pan stare surgically pinned to a high octane set of boredom-energized punk pistons. This is an ear-ringing missive from the end of the cul-de-sac, a mirage wavering above a mid-sized American suburb at dusk, with the constellations bleached black by the sprawl. A little Wipers, a little Wire, and a lot of late-capitalist era anxious energy—Flat Worms scratch the itch quite nicely. Fans of classic SST / Homestead /Touch And Go Records will find much to love here.